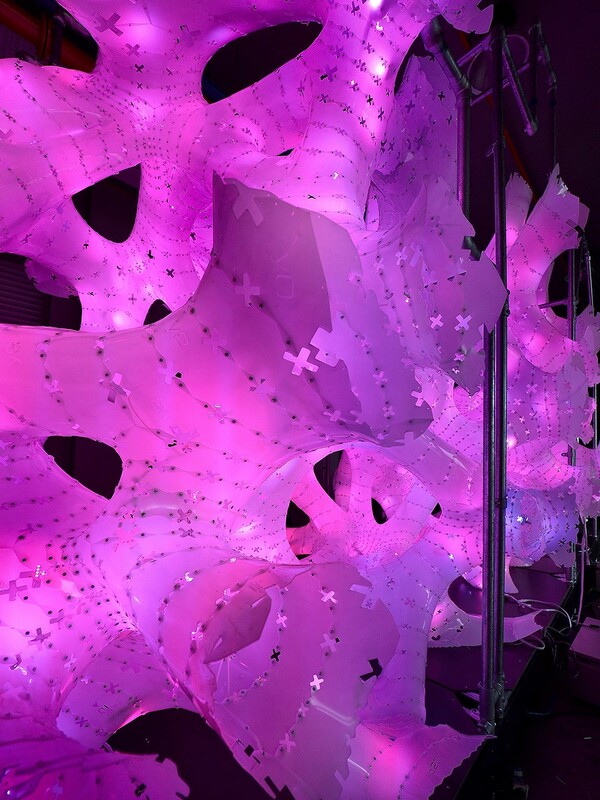 As the only selected Asian and Singaporean finalist entry, DP Architects’ “Rhizome House” design was handpicked to be one of 14 lighting installations to be built for the Illuminade route of the prestigious Amsterdam Light Festival. 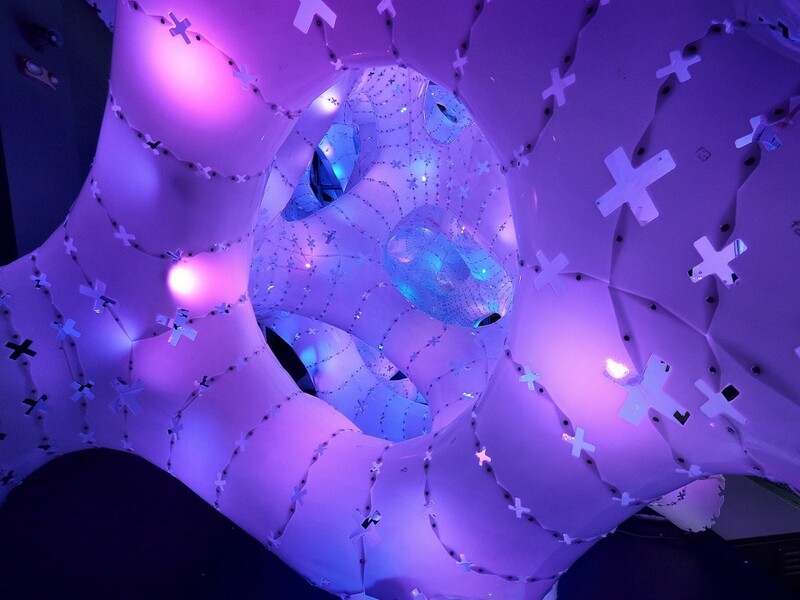 The light structure will be on display to an estimated 1 million visitors from December 15 2016 – 8 January 2017 in Amsterdam, the Netherlands. 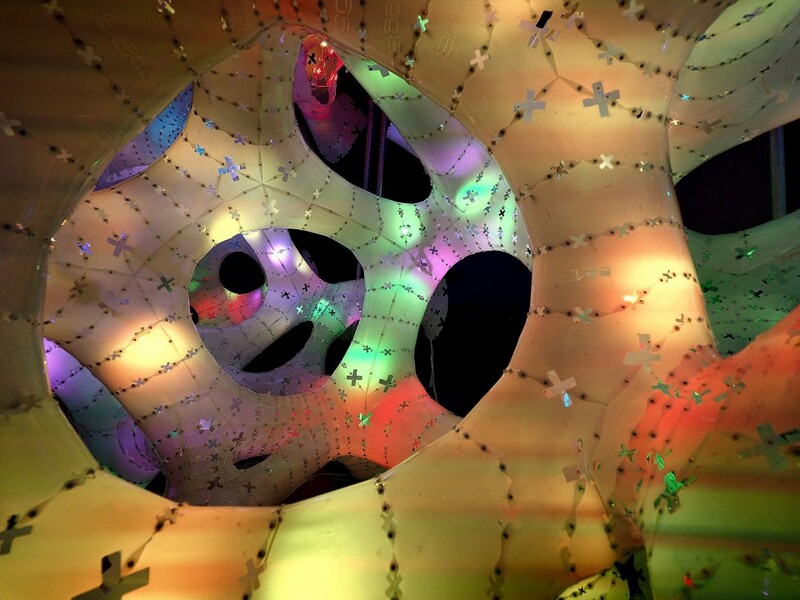 The innovative design – geometrically derived from nature’s root- like rhizome structures – was a response to this year’s theme of “biomimicry” for Illuminade. 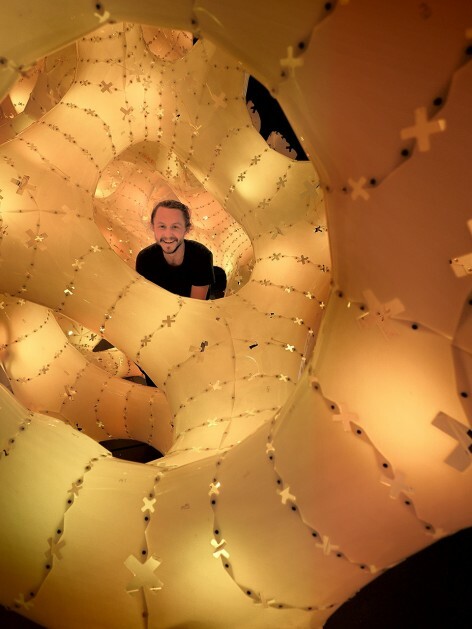 Starting from the investigative process of bio-construction and why animals build, the man- made design is biomimetic in principle, inspired by the interconnected systems found in natural organisms. 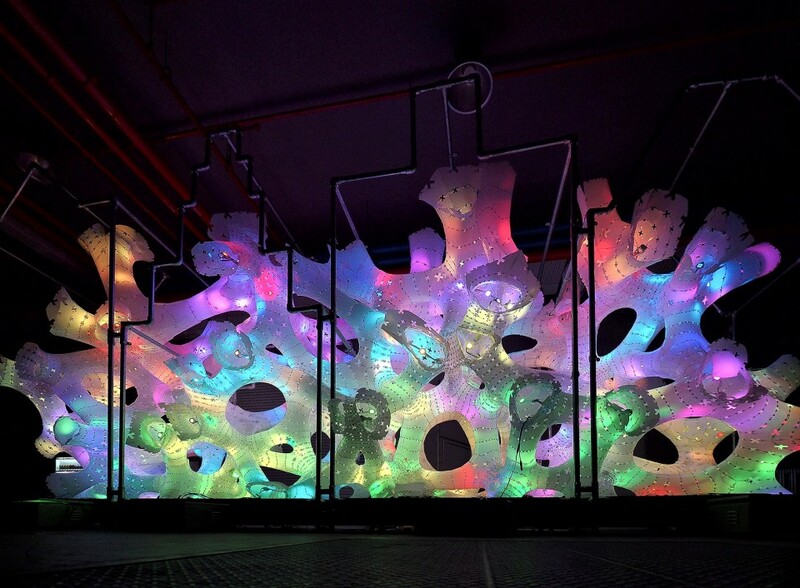 As a result, the light installation contains brilliantly changing RGB light diodes and weather-resistant, translucent high-density polyethylene material parametrically shaped as root structures that grow, branch, and connect. 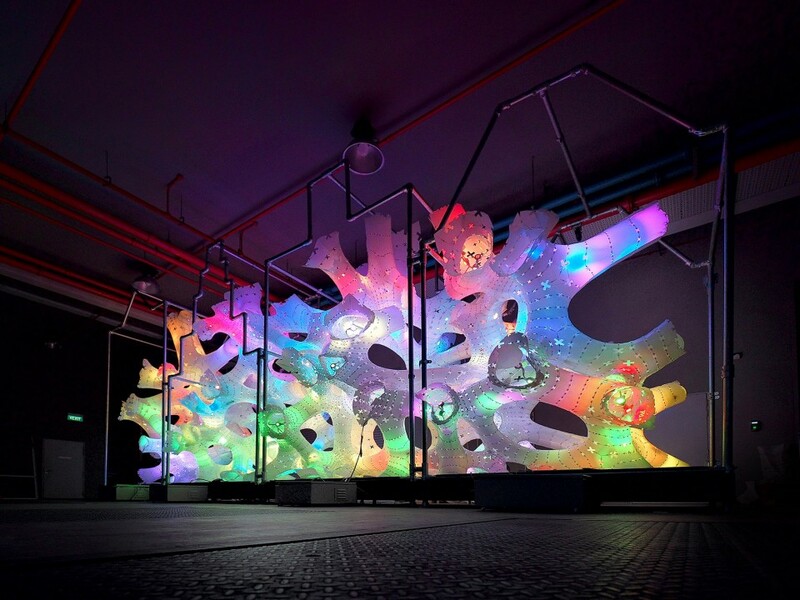 Visitors are encouraged to explore their way through the roots, with light that responds and changes colour when it detects movement. This is housed within a steel frame that recalls the construction of Dutch canal houses, so that the design serves as a synthesis of the type of structures animals build – homes, traps and displays, forming a thought-provoking, fun and interactive connection between all three. Rhizomes, or root networks, are displayed in a fun and interactive way by encouraging the curious user to enter the trap created by perceived boundaries. 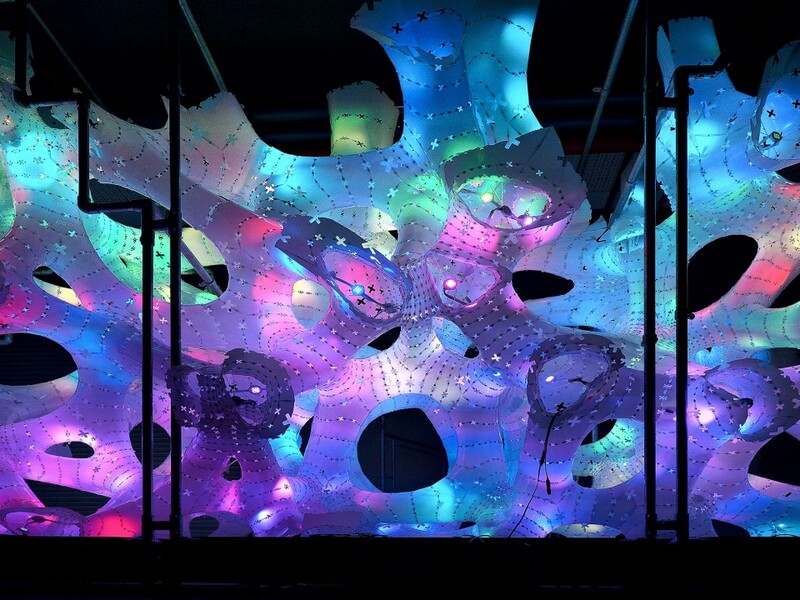 Light reacts as users engage with the installation, which is shaped after a familiar house, creating a surprising contrast that further encourages interaction. 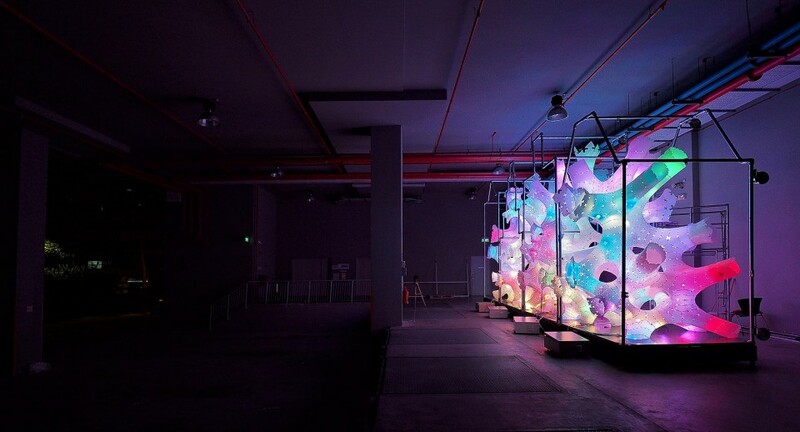 The experience is intended to be a series of stimulating contradictions – familiar and foreign, amusing and thought-provoking, blue and then pink. 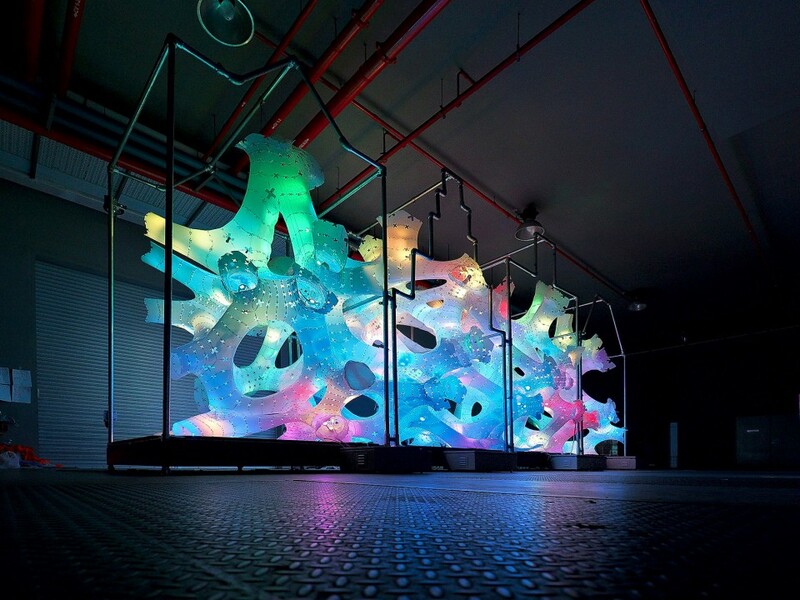 With its display of linkages and connections, Rhizome House is the embodiment of a pleasant crossroads between art, science, humanity and nature. Using the house, trap and display typologies, DP Architects wanted to create a familiar, contextual element by using a steel frame derived from the profile of Dutch canal houses. 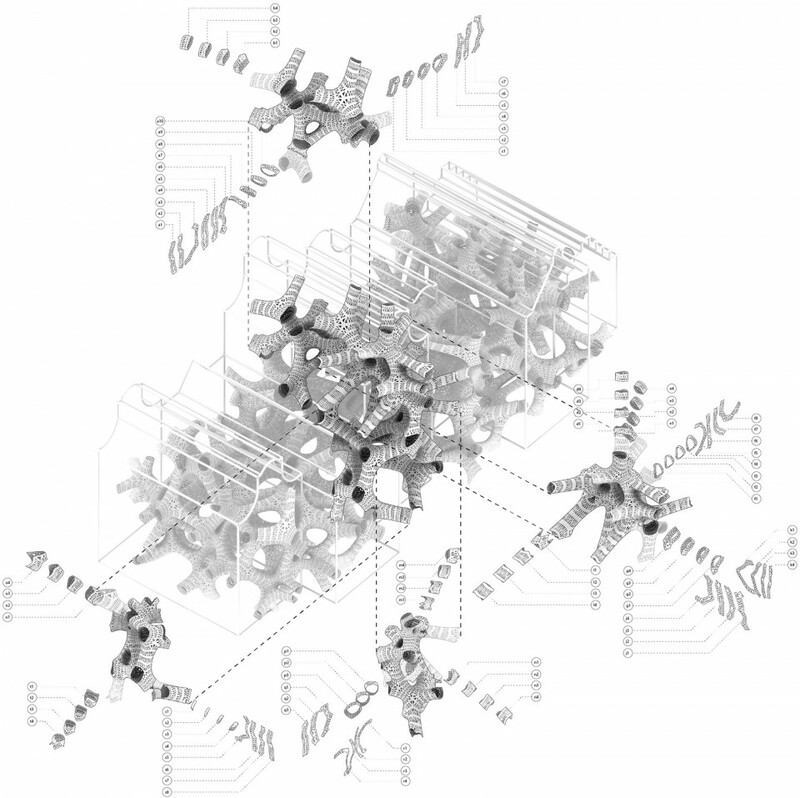 Within that frame an algorithmically-derived rhizome network was “trapped”, as a self-supporting structure aided by steel supports. Joe Krentz used Grasshopper to parametrically generate the geometry, allowing for rapid prototyping and iterative design. The steel frame will be installed first, in order to ensure the rhizomes can support themselves, while acting as a ballast and wind brace. 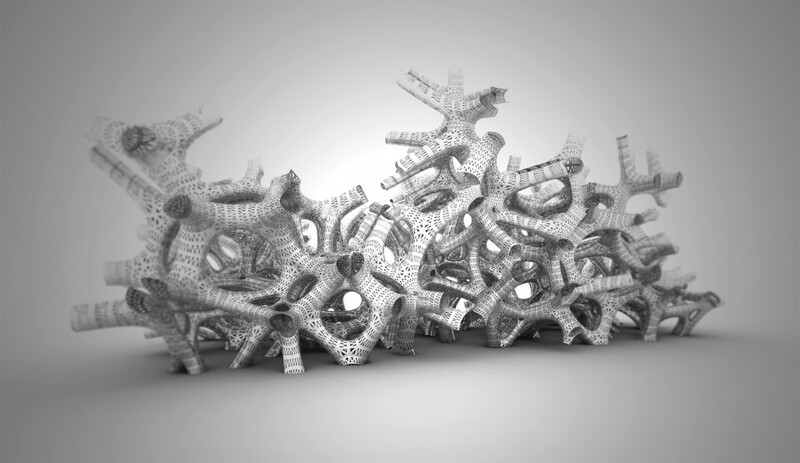 The rhizomes will then be assembled in modules, or sections, according to the parametric labelling of the individual pieces. The geometry is then “stripped” and unrolled to create flat 2D AutoCAD data to send to a laser-cutter or CNC machine. 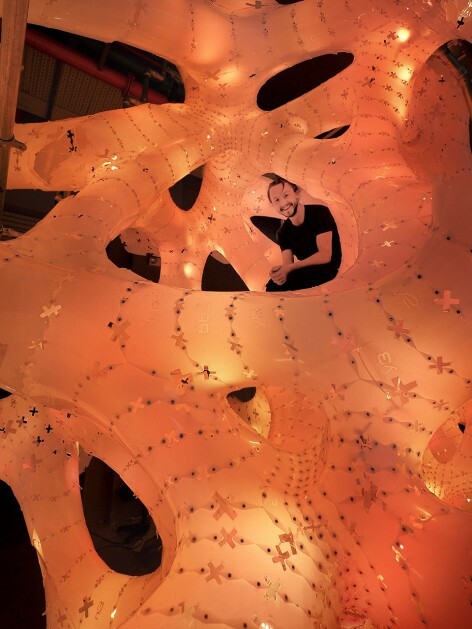 Construction of the rhizome house is an exercise in digital fabrication. Both the geometry, and assembly sequence, were scripted utilizing Grasshopper for Rhinoceros, allowing multiple iterations and rapid prototyping to optimize parameters like structural stress, perforation, and seam geometry. A self-supporting structure in itself, the rhizomes are then further anchored to the dock using the frame of the canal houses, to brace and ballast the installation from traditionally strong winter Dutch winds. Within the frame of each house, the rhizomes are ordered and subdivided by a series of control points then unrolled to generate flat-2D AutoCAD data. Finally each elements is perforated, labelled, and nested into sheets for CNC cutting. The individual strips are then riveted together creating a stiff-self-supporting network within which the LED linear lights can be suspended. Each individual house is then packed into a shipping container and re-assembled on site.